In this interview, Toast’s PR Manager Karen DeVincent chats with restaurant metrics guru Damian Mogavero to understand how data + food innovation = restaurant success. 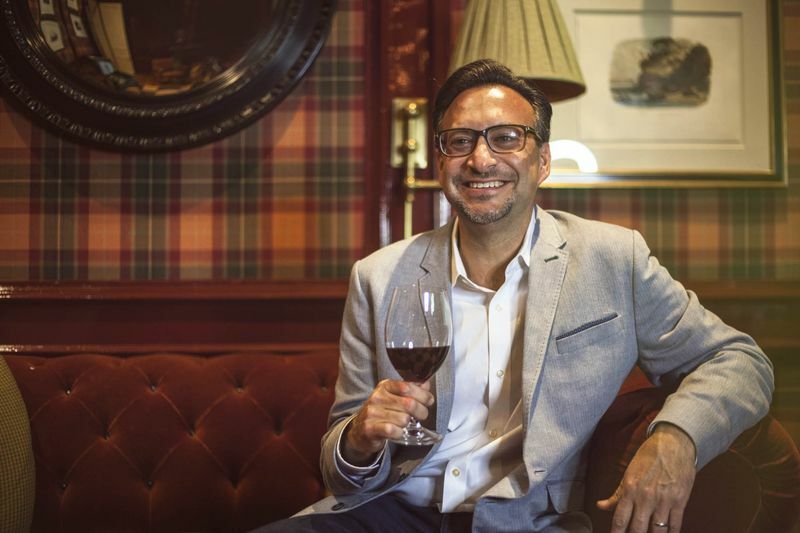 After years of helping restaurateurs solve for this formula at his company Avero, Damian took his key learnings to paper in his first book, The UnderGround Culinary Tour. As purveyors of all things food, restaurants, and data here at Toast, of course we were eager to hear more about Damian’s book and how he hoped it would help restaurateurs in navigating the path to restaurant data success. Tell me a little bit about yourself - what made you get into the business of restaurant metrics? As a teenager, I was a busboy at the Cherry Hill, New Jersey Hyatt, where I learned the very important lesson of always exceeding guest expectations. I also always had a fascination with numbers. I brought these experiences and passions together following a career on Wall Street – I enrolled at Harvard Business School, and upon graduating, decided it was time to get back into the restaurant business. I became CFO at a restaurant group and quickly noticed that my chefs and managers weren’t able to answer important questions like who are my top and bottom servers and why did my food and labors costs go up. To make the problem worse, they spent more time in the back office on admin versus creating new and delicious menu items and spending time on the floor with customers. Why? My chefs and managers just did not have the tools they needed to drive profitability as the answers were buried in Excel spreadsheets and POS. To solve this problem, I started Avero by bringing together a chef, sommelier, restaurant manager and three techies. I remember the restaurant people were like, who are these geeks, and vice versa. These groups became one team, created software-as-a-service and grew the company that is now used by 10,000 restaurants in 70 countries. Out of all the massive amounts of data we aggregated Avero, one thing stuck out to me: the great disparity of top line restaurant performance. Some restaurants were up double digits and some were down double digits. So, I sought to figure out what it was about the restaurant industry that drives this divide. This led me to create an Underground Culinary Tour using New York City as a restaurant laboratory hosting restaurant CEOs on 15 stops in 25 hours to give them a glimpse on the future of how Americans will be dining. 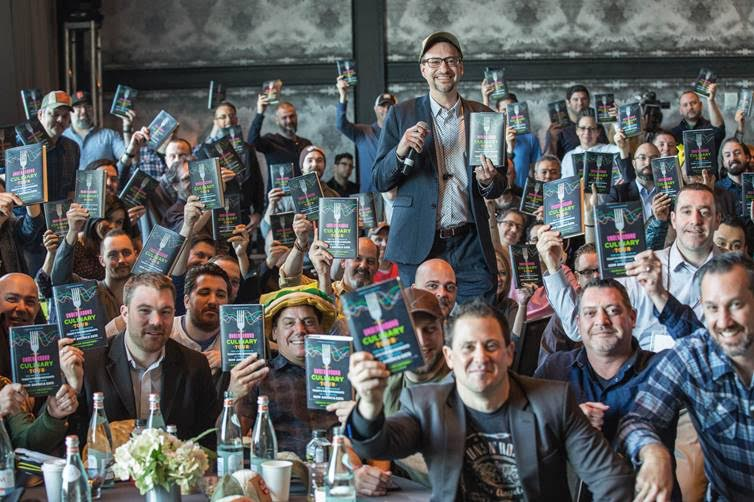 The book gets its name from this tour and celebrates what I call “New Guard Restaurateurs” who are embracing data and technology while adapting their concepts to the foodie generation. What is your vision for the restaurant industry in 5, 10, 20 years? One of the things I talk about in chapter 10 of the Underground Culinary Tour is New Guard Restaurateurs are constantly innovating in four areas: ingredients, beverage, space, and “x factor.” As part of the x factor, restaurants will act like software companies more than ever before; this is really driven by guests, stemming from the on-demand generation. Competition has never been greater, too – I call this urban disloyalty. 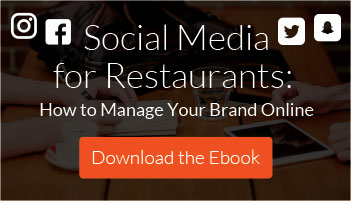 Social media and blogs provide a new level of transparency in the restaurant industry; the foodie generation is willing to go to a new restaurant at the risk of pushing an incumbent aside. These are all opportunities to connect with customers in a new way and adapt your menu to drive a better experience. I would have to go back to what I shared earlier from one of my first jobs as a busboy at the Hyatt in Cherry Hill, New Jersey: the general manager taught me to be successful in the hospitality business you have to always exceed guest expectations. This stayed with me. When I sought to build Avero, we made sure to develop a company that followed this rule. Sure, I wanted to make sure we had a simple-to-use product that could solve business problems. But I also wanted to deliver excellent customer service to our customers so in turn, they could too. What advice might you give to a restaurateur who is just starting out, someone who has been in the biz for a few decades? For people starting out: work for innovative restaurant companies that can mentor you and take training seriously. Some people just don’t take training seriously anymore. In contrast, look at Danny Meyer, Tom Colicchio – they are masters at the art of training a well-run team. If you are a young person starting out in the business, the title and pay will come – it’s a marathon, not a sprint. For people who have been in the industry for a while, don’t forget that this is the most creative business in the world, and embracing data and technology can help you become better artists. One of the key messages of The Underground Culinary Tour is that the more consistent and more spectacular the guest experience, the bigger “data geekery” is behind the scenes. 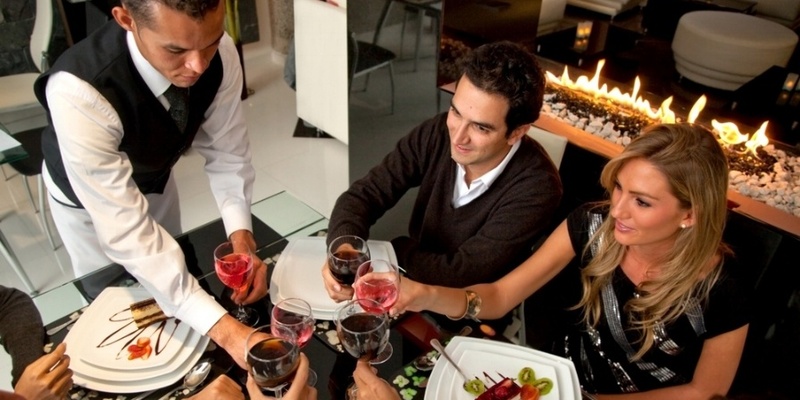 A great restaurant experience results in a more profitable business. What do you want to say to the restaurateurs who go with their gut when it comes to inventory/management metrics, maybe still use a cash register, and think weaving technology into his or her business plan will take more time and investment than it is worth? That is something that I faced in starting Avero - it is a gut-driven industry, and people often believe technology will get in the way of the artistic side of running a restaurant. I’ve learned from my customers over the years that technology can drive profitability and free up time enabling you to become a better artist. For example, if we are dining in the courtyard at Brennan’s in New Orleans for brunch, they would expertly guide you to a Cajun Bloody Mary, Egg Sardou, and Bananas Foster, a dish they invented. As a guest, you see and feel the magic. But what you don’t see is the technology behind the scenes that is ensuring all of the servers are expertly trained and they understand how the demand patterns are impacted by weather and events so they buy the right amount of ingredients and schedule the right amount of labor at the right time. And this is why I wrote The Underground Culinary Tour. Technology can liberate restaurateurs to do what they love to do. Look at restaurateurs like the Brennan’s and how they have been around for decades – it is because they know how to stay true to their brand while moving with the times, in this case, incorporating data into their business. What’s most exciting to you about the restaurant industry right now? There has never been a better time to be in the restaurant business because the guests are so knowledgeable. It enables you to be creative and innovative; the customer is ready for those new experiences. They are open and educated because of mediums like food social media, blogs, and cable foodie TV. "There has never been a better time to be in the restaurant business." I also think it is a dangerous time, too. There has never been more competition, and it is coming from very unusual places, from airports to food halls, to food that delivered by an app. And, you have pressure on your food, labor, and real estate costs. You have a situation, financially, where margins are under attack. There has never been a better time to embrace technology like Avero and start innovating. That’s what The Underground Culinary Tour is all about. If you were stuck on an island, what three foods would you hope to find there? It would be a cortado in the morning, pizza during the day, and a beautiful Burgundy in the evening. What haven’t I asked that you’d like to share? 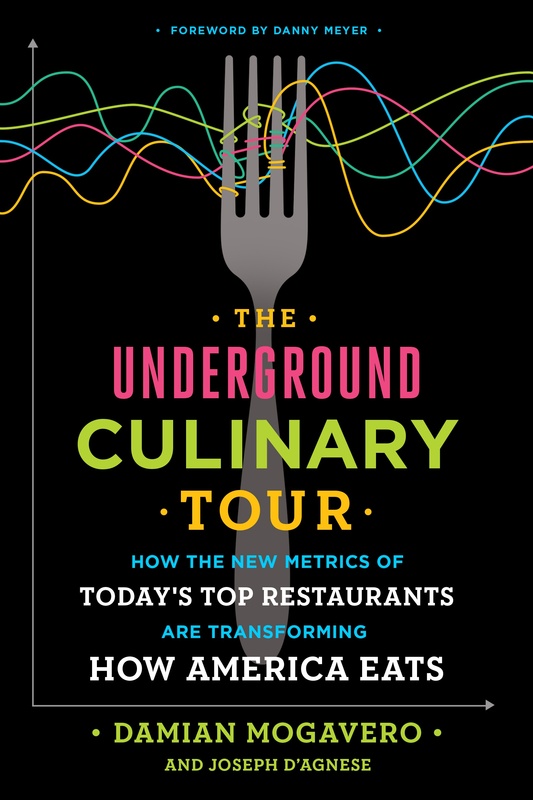 The one thing I would say is that The Underground Culinary Tour is the backstory about embracing data technology and foodies. This is Moneyball for restaurants. One example – like a baseball card, you can use a server scorecard to understand an individual server’s menu category average check, table turn times, and item per-cover percentages. 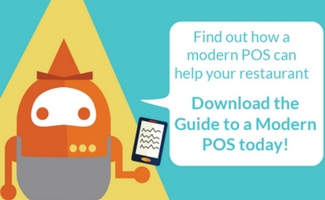 Restaurateurs can use these sorts of tools to better train their staff, because not all servers are created equally. In the book, I talk about a server who wasn’t selling very much wine by the bottle. Using the server scorecard, the manager figured out that she was uncomfortable with opening a bottle of wine; it had nothing to do with her people skills. She just needed training. Training builds confidence. When that happened, everyone won. She delighted her guests with a fine wine experience, increasing her wine sales and made more money in tips. Editor’s note: Damian Mogavero is the author of the Underground Culinary Tour and founder of Avero, which shares mutual customers with Toast.